How do we tell the kids about embryo adoption? 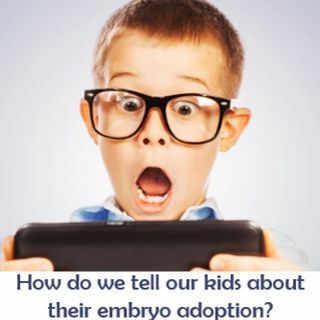 How do you speak with your children about their embryo adoption or donor conception history? Join Kris Probasco, Executive Director of Adoption and Fertility Resources, as she discusses methods and tools to assist parents in telling their children about their unique method of joining the family at every developmental stage. Kids need to know their story!